This is a die-cut Kodak Film porcelain sign. This particular Kodak Film sign is yellow with red and black print. 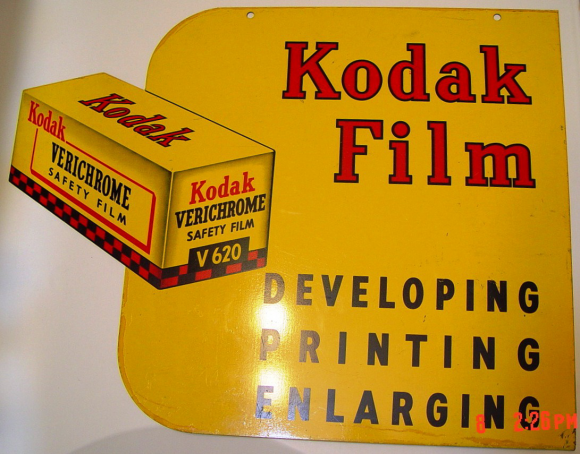 It reads, “Kodak Film, Developing, Printing, Enlarging, Kodak Verichrome Safety Film” and features a box of Kodak Verichrome Safety Film on the left side of the sign.